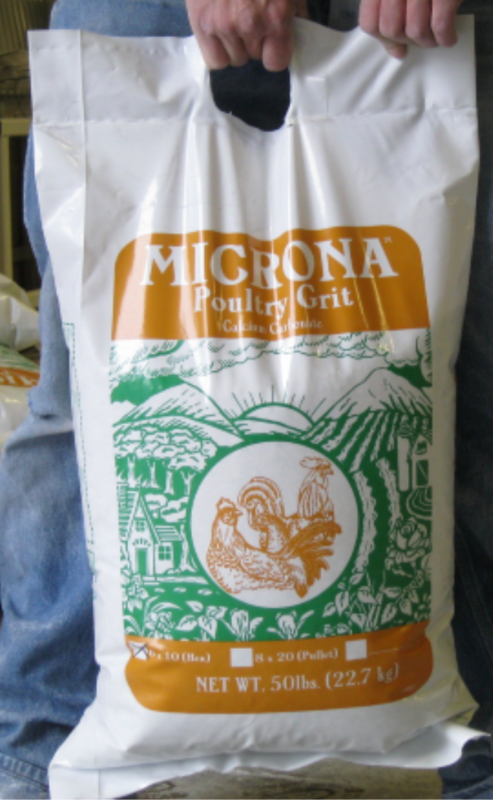 MICRONA™ Poultry Grit is derived from calcium carbonate. As a grit source, it is superior to oyster shell – shell is not hard enough to do the digesting task grit will. 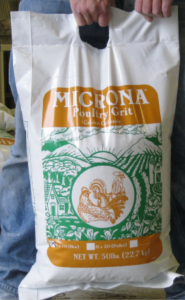 Most laying poultry will benefit from MICRONA™ being offered free choice. Because of it’s pH adjusting qualities, MICRONA™ will also keep coops and runs hygienic and clean. Just sprinkle a handful per square foot, then spread your bedding material.